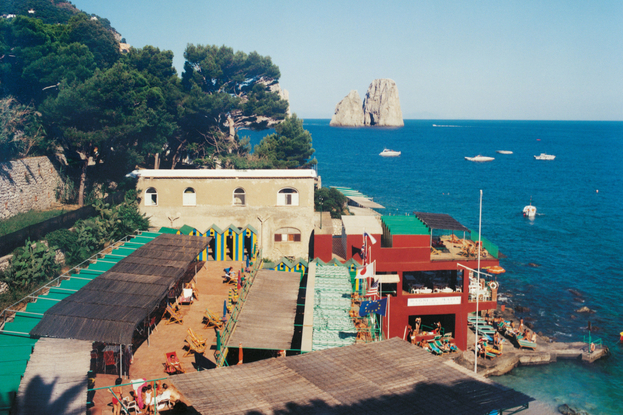 French photographer Claude Nori gives me a serious case of FOMO in his series An Italian Summer. Each photo – especially the one above – makes me want to drop everything, leave town, and never come back. (Hopefully my boss isn’t reading this…) This series perfectly encapsulates la dolce vita – “the sweet life” – with its bright colors, sun-kissed subjects, and, of course, the dreamy setting. 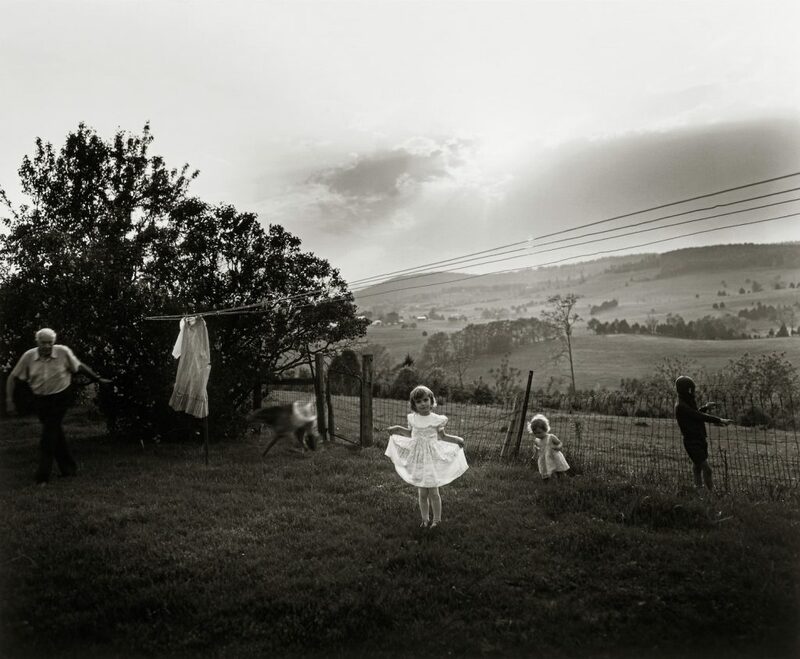 Sally Mann has a special talent for photographing the complexity of childhood. Here in Easter Dress, Mann photographs her three young children, Emmett, Jessie, and Virginia, at their farm near Lexington, Virginia. Notice how it’s not the quintessential portrait of children; rather, only one child is the focal point. There’s a certain beauty in celebrating the imperfections and quirks of raising children! 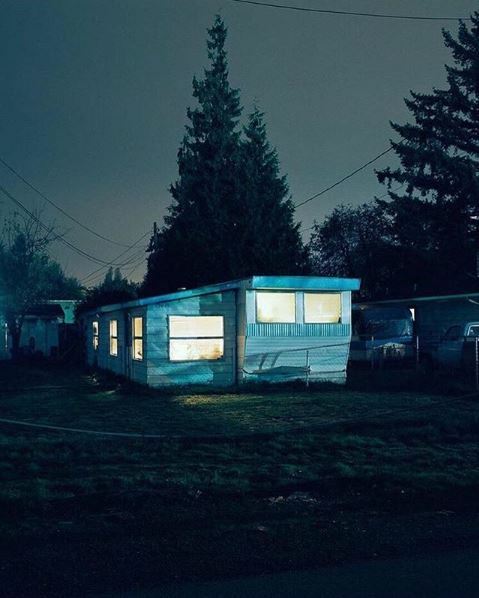 Dark yet hyper-real, Todd Hido’s photos capture light in the darkness in an unbelievable way. In this photo, Hido takes an ordinary scene and uses its natural setting – being illuminated by light from an adjacent highway – to evoke emotion. There’s a sense of warmth – from the light within the home – as well as one of isolation and loneliness that comes from being on the outside. Now, it’s your turn to impress me. Want to enter our #WorldPhotoDay Contest? It’s easy — send us a photo (one that you took; no passing off another’s work, please!) and tell us why it means so much to you. 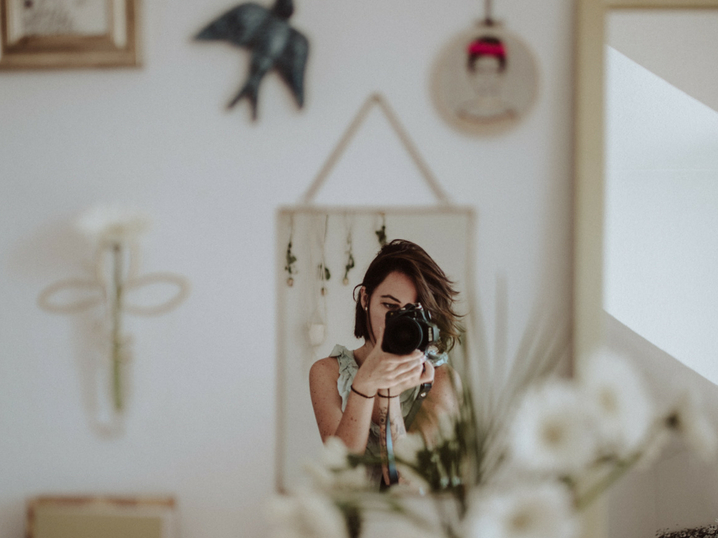 One winner will be selected and he or she will receive $100 to spend on all of your favorite photo products. Application is below! So, what are you waiting for? Our #WorldPhotoDay contest ends Sunday, August 12 at midnight! Credit for all imagery in this post belongs to the photographer. Pteroglyphs, etched in rock in the Nevada Desert thousands of years ago, photographed by a Leica Camera made in the 21st century, uniting ancient art with modern photography. I had the wonderful privilege of living in Germany for 4 years allowing me to travel many places. The UK, London, Yorkshire, Scotland is my home heart. I have continual fernweh, the German word for the longing for travel to far away places. I currently live in Tennessee but have family in Michigan, Ohio, and Missouri. Capturing what I witness, whether it is people, sunsets, nature, bridges, is icing on the cake of a beautiful life. It doesn’t let me submit through this page, is there any other way i can enter? thanks! Vawter Marine & Specialty Photography. Hasselblad with 80mm lens, taken Ft Myers Beach, Florida. Film Processed in my lab & printed. Please post your rules and conditions. Who owns the rights to submitted photos? How might Nation’s Photo Lab use the photos in the future? LOVE THIS PICTURE WITH MY HUSBAND ON OUR ALASKA CRUISE THIS YEAR 2018. This was a photograph that I almost didn’t get. I was in Rome, with a group that was touring certain places in Europe and stopping at famous landmarks. I was about to leave the Cathedral and turned around to take one last look before we left. Not sure if it was divine inspiration, but as I turned and saw this light I knew I had to shoot this beautiful scene. Problem was I only had 2 shots left on my film camera. I was lucky to get this shot because moments later the light beams were almost completely gone. Sunsets and sunrises are among my favorite photo topics. THIS PHOTO WAS TAKEN ON MARCO ISLAND, FLORIDA BEACH IN JULY OF 2018. I TOOK IT WITH MY KODAK Z981 CAMERA. American lotus growing in the lower end of Pool 7 of the Upper Mississippi River upstream of La Crosse, Wisconsin in August 2011. This one of my favorite pictures taken in the past 10 years. It combines the love I have for the Mississippi River, its floodplain plants, film photography and canoeing. It was taken from my canoe on a still morning with 35mm film Nikon FE using elite chrome slide film. I was doing a fun shoot with my granddaughter, Anastasia, age 2 1/2. I had her aunt behind me calling her name, getting her attention and this is the lucky one we got. I could not have asked for a better photo of her. Future model in the making haha. 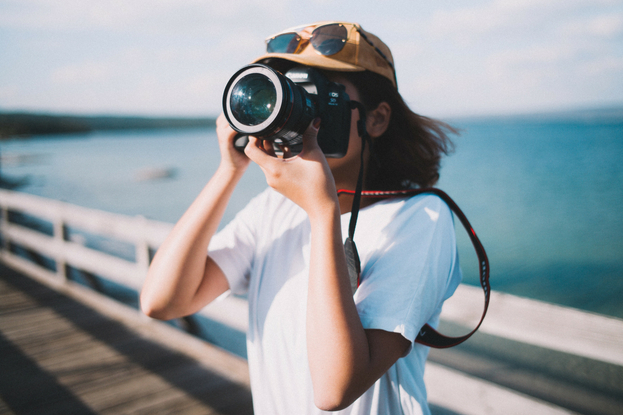 TO ASK A PHOTOGRAPHER WHAT IS HIS FAVORITE IMAGE? IT’S LIKE ASKING A SHARK WHAT HIS FAVORITE MEAL IS. 1980’S? DESERT? TIJUANA? NEGATIVE? ELECTRONIC? COLOR OR B&W? WHAT I PICK TODAY, I MIGHT NOT PICK TOMORROW. Thank you. If you need more to the story I will add additional copy. I have another photograph on the island of Burano in Venice Italy that has a terrific story as to why (after marriage) the happy couples paint their homes is pastel colors. It may be of interest to you. I recently took this Photo at a beach in New Jersey, It has quickly become one of my favorites. As it shows how far as a Photographer I am progressing. I took this photo in the Mississippi Delta. It’s one of my favorites. This photograph was take on a remote canal on the non-tourist section of Venice. It took several camera adjustments and shots to capture this depth perception. The depth of field was helped by a gracious reflection off the water. The composition was assisted by the colors ascending to the distance. Each gondola is individually crafted to the specific size and weight of the pilot. That’s right… no two gondolas are alike. They are designed around the pilot’s body dimensions. The pilot of this boat lives in the house marked to the right. Yes… the Lilly! He also works as a fisherman to support the famiglia [family]. His name is Pietro.